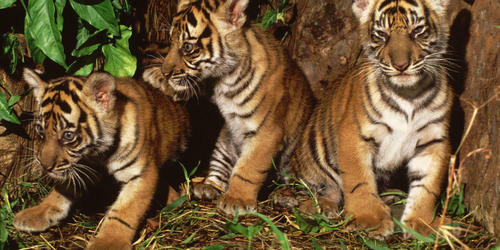 The lush rain forests of Sumatra are unlike any other place on Earth. WWF together with the Frankfurt Zoological Society and The Orangutan Project are pursuing an innovative solution to save one of the most important forests left on this island, called Bukit Tigapuluh—or Thirty Hills. Our goal is restore and protect 100,000 acres of former logging concessions and by doing so, save nature and benefit people and the planet. 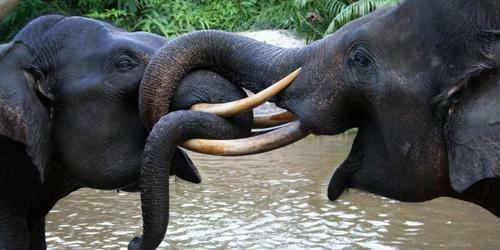 One of the few wild places on the planet where elephants, tigers and orangutans coexist. An exceptional diversity of life including at least 160 orangutans, 30 tigers and more than 120 elephants--all critically endangered--find refuge in these forests. The ambitious plan for Thirty Hills will involve collaborating with indigenous and local communities and tackling issues like human-wildlife conflict, poaching and building wildlife corridors to ensure a future for the species that depend on the forest. Since 1985, the mega-biodiverse Indonesian island of Sumatra has lost more than half its forest cover. Agriculture, paper production and illegal forest clearing have led to one of the highest deforestation rates in the world. Our Thirty Hills project will add nearly 100,000 acres of protected lowland rainforest forests and critical tiger, elephant and orangutan habitat to the Bukit Tigapuluh landscape, keeping tens of millions of tons of CO2 locked up in trees. 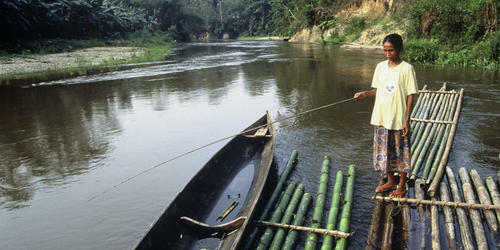 The indigenous people of the Orang Rimba and Talang Mamak tribes are living in these forests. Protecting Thirty Hills protects their traditional culture, forest-dependent livelihoods and their future. Our field team built small unmanned aerial vehicles to gather the best visual data in order to map traditional village land rights and uses and enhance conservation efforts. We’re also exploring how communities can earn money from non-timber forest products like rattan, medicinal plants and wild honey. Saving Thirty Hills is the work of many. 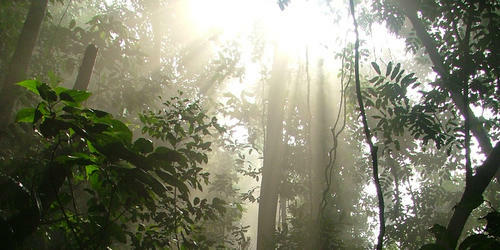 Conservation groups helped create Bukit Tigapuluh National Park in 1995. We are now working to manage some of the surrounding forests directly, not for logging or agricultural use, but to restore and protect the ecosystem. WWF and partners are working to restore and protect 100,000 acres of former logging concessions and integrate that forest into a larger ecological and social landscape that includes the neighboring national park, and rubber and paper concessions. By doing so, we will save nature and benefit people and the planet.